We have reached a significant deadline in the legislative process, and have spent the past week and a half working late into the night voting on bills before the cutoff this past Wednesday. This means that only bills that were approved by their respective chambers will continue. It’s a lot like a funnel, winnowing down proposals so only a fraction of the thousands of bills introduced are left. I’m pleased that another one of my bills has made it through, granting dedicated funding to career skills centers in rural communities around the state. Senate Bill 5874, which was approved unanimously, would require direct funding of certain satellite skill centers in rural areas. The concept for the legislation was brought to my attention by the Davenport School District. These are important assets for rural communities. They help develop our skilled workforce in areas like construction trades and health care, but funding can be a struggle. This legislation will help ease the burden on local districts for operating these satellite centers and offer even more programs in our communities. Currently, the Davenport School District operates a satellite skills center in partnership with the Spokane School District, providing career and technical education (CTE) to high school students. However, some of the CTE programs may be too expensive or specialized for one school district to operate alone. My legislation would allow direct funding of these centers if they can secure agreements to enroll students from two or more school districts. You can see a full list of legislation that I’ve sponsored by clicking here. 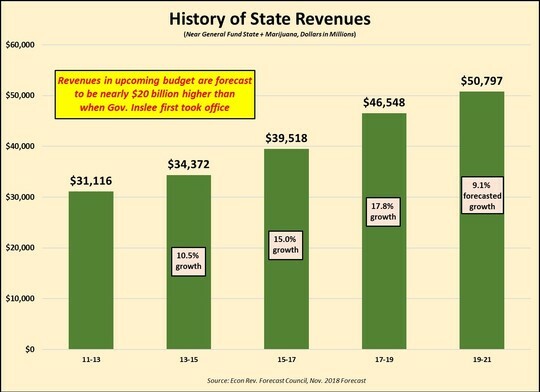 Thanks in part to federal tax cuts and deregulation, our state has seen a big increase in tax collections. In fact, almost $5 billion more than expected since we approved our last two-year budget, now projected to be nearly $50 billion. You shouldn’t be surprised that some in Olympia don’t think that’s enough. The governor wants to spend $5 billion more, and is proposing a new income tax, carbon taxes, and increased taxes on small businesses to pay for it. Senate Bill 5129 would include a 67 percent increase in taxes on service-related businesses and a new income tax. You have voted nine times to reject an income tax. The Senate majority also recently approved Senate Bill 5438, which would further add to our state’s challenges to attract workers in the agricultural industry. We are already facing a worker shortage and the proposal would add additional fees and regulations, making it harder for family and small farms to compete. This really amounts to double taxation, and I voted against this legislation. I want to thank everyone who sends correspondence to my office. It helps me to hear from you about issues you care about that are before the Legislature. 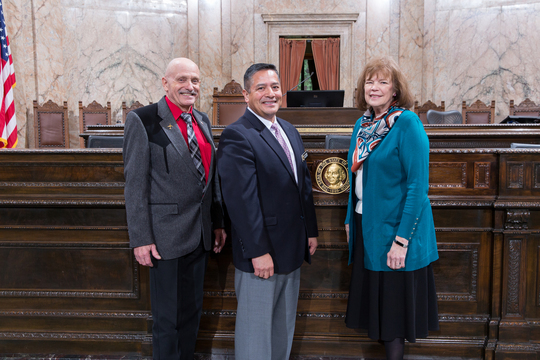 I take those notes and calls to heart when working on your behalf in Olympia. However, sometimes we receive hundreds of form letters with constituent information and it just isn’t possible for me to respond to everyone. I recently received letters from an advocacy group and did respond to one individual who had no idea that group was sharing their information! My seatmates and I will be holding in-person town halls throughout the district March 22-23. Please see below for locations, dates and times. Please share with others who might be interested in attending. We want to hear from you and give an update on what is going on in your state government. 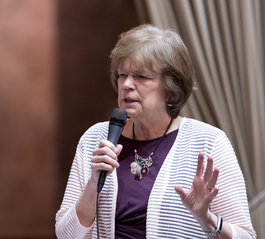 Friday, March 22, 5 p.m. – 7 p.m.
Saturday, March 23, 10 a.m. – 12 p.m.
Saturday, March 23, 3 p.m. – 5 p.m.
For more information, contact Sen. Judy Warnick’s office at (360) 786-7624, Rep. Tom Dent’s office at (360) 786-7932 or Rep. Alex Ybarra’s office at (360) 786-7808.